5th generation member and also the youngest member in the roster as of 2012.03. Currently not attached to any agencies. 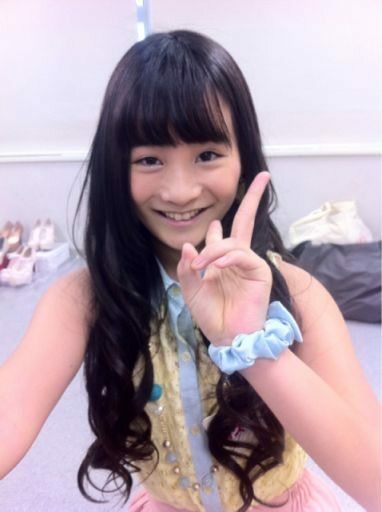 She's my favorite 5th generation member as of now, although it's still early days. At first she looked a little scared, but the other members seem to have quickly accepted her in the group and now it looks like she's having a lot of fun (In general it is my impression that Idoling!!! is really a great environment for idols. 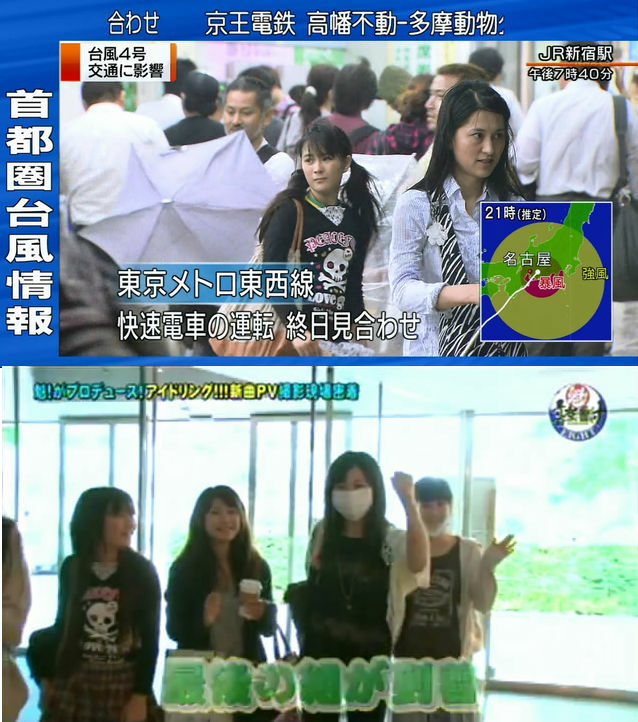 There doesn't seem to be any of the nasty backstage stuff I sometimes hear about other idol groups). In the uRa episodes with the other 5th gen. members we get to see and hear the most of her at the moment, but I'm sure as time goes by, here exposure on the main show will increase. She had this sniffle tic going on, I haven't seen it recently, though. I think it was really cute (as long as she gets rid of it eventually ). I guess, at the moment, her being so young, shy, and tiny makes her so adorable. Her relationship with the rest of the group is especially interesting because of the age gap. As of now, I think the other 5th gen. members will take good care of her. Same tshirt she was wearing at One Up!!! PV shooting. She's a bit weird but I like her weirdness. Man, the one with Asahi was awesome and the one with Goto a total contrast, but equally funny in a different way. She seems comfortable in an engaging high-tension interaction with Asahi, but at the same time she seem's to get along with Kaorun quite well, too. My theory is that Kaorun is a kind of substitute for a same-age peer in the group, because she's so un-senpai-ish and dependent, as it were. Then again, perhaps I'm overanalyzing things here. Oh wow, they really photoshopped the hell out of that photo. I don't think I would have recognized her if her name wasn't next to it. Her reaction is simply priceless, I was dying. They wake her up, then she curls up in a ball and starts sleeping again And when she taps them on the forehead, I lost it, it was so adorable. And her eyes were barely even open for this. My other favorite was Yuna, they got her SO bad, AND they got her twice! It was awesome. Mana was adorable too, she jumped out of bed and rocked Mamore like she was on stage! This whole uRa video is one of the best things ever. The aka-suits with Ruri and Hii-chan was beyond words. reia-chan become more cute than ever...thanks to rurika and umeko who look after her in idoling!!!. Reia-chan in Smile Stadium, she is now doing Ai-chan's woohoo entrance speech.